Your favorite Uncle returns to rock Greenfest once more. 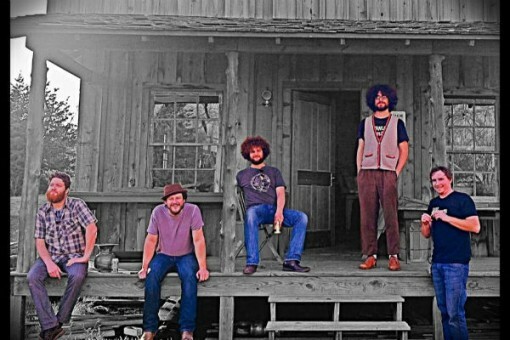 They will be capping off a hard-hitting and groove-filled Saturday full band main event at River Road Icehouse that includes Adam Hood, K Phillips, Josh Weathers, Javi Garcia and Quaker City Night Hawks. Our heads are spinning already. Uncle Lucius has proven themselves to be one of the finest touring bands in America today. Their blend of rock, country, soul and blues put them at the forefront of the Texas, Americana, and roots scenes. This is their second time at Greenfest and we aren’t sure we will be able to (or want to for that matter) keep the wolves away with this one. Performance date/time: Sat July 27 at River Road Icehouse, approx 11PM. I simply want to tell you that I am just newbie to blogging and site-building and actually savored you’re web site. Very likely I’m going to bookmark your site . You surely have excellent article content. Thanks a bunch for revealing your blog. I’m still learning from you, as I’m making my way to the top as well. I definitely liked reading everything that is written on your site.Keep the posts coming. I liked it! Thank you for any other fantastic post. Where else may just anybody get that kind of info in such an ideal manner of writing? I’ve a presentation subsequent week, and I am at the search for such info. I¡¦ve been exploring for a bit for any high quality articles or blog posts on this sort of house . Exploring in Yahoo I eventually stumbled upon this site. Studying this info So i am happy to show that I’ve a very just right uncanny feeling I came upon exactly what I needed. I so much indubitably will make certain to do not put out of your mind this web site and give it a glance on a relentless basis. I have learn several excellent stuff here. Certainly price bookmarking for revisiting. I surprise how much attempt you place to make this sort of excellent informative site. I cling on to listening to the news talk about getting free online grant applications so I have been looking around for the top site to get one. Could you advise me please, where could i find some? Normally I don’t read post on blogs, however I wish to say that this write-up very forced me to try and do so! Your writing taste has been amazed me. Thanks, very nice post.